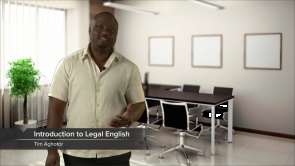 Improve your legal English skills! Legal English is a field of the English language which deals with law related issues and how to communicate them properly. You will be able to improve core skills like reading comprehension, logical thinking in a legal context and particular wording as well as written legal communication.